Much of Guillermo del Toro’s newest effort, Pacific Rim, has been under a veil of secrecy. So far all we know about the film is that it will involve aliens and large robots operated by humans. 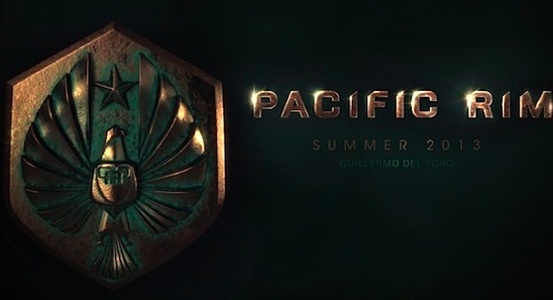 But as the film moves into the post-production phase, del Toro as come out to speak about the state of Pacific Rim and offered a first look at one of the characters. 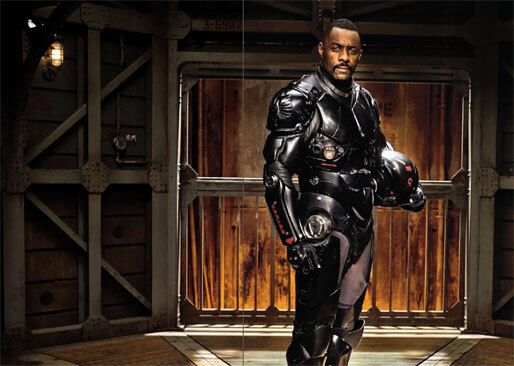 Total Film (via MovieHole) has given us the first look at Idris Elba in full costume. It appears that the suits are connected to the robots that they operate. Or they could be just suits. Although it does look a bit photoshopped, I am pretty happy with the overall look. It is a teaser image after all. I suspect we could be getting our first look at the film during Comic-Con later this year. Check out the first image of Elba in full costume below. Elba can be seen starring alongside Charlize Theron and Michael Fassbender in Ridley Scott’s Prometheus, which opens today. Pacific Rim also stars Charlie Hunnam, Rinko Kikuchi, and Charlie Day. The film is scheduled to open on July 12, 2013.